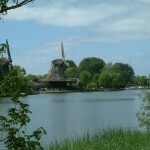 In the area to the north of Amsterdam, there are numerous famous little towns and places such as Volendam, Edam, Monnickendam, the Zaanse Schans windmill group and Marken. Whilst enjoying these touristic attractions, you can also revel in the historical town of Hoorn, Weesp, the medieval Muiderslot Castle and the picturesque village of de Rijp. All with their own individual cultural and historical background, which makes a visit there so very worthwhile. 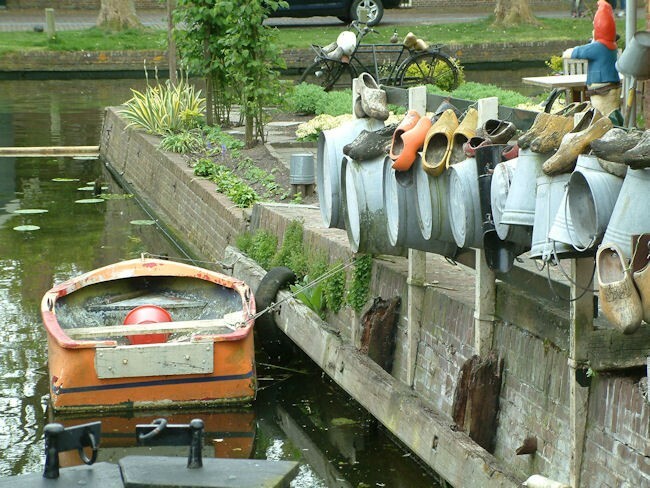 Nearly half the area surrounding Edam consists of water, crisscrossed with charming bike lanes giving you not only open grass polders and peat rivers but villages full of colourful wooden houses and traditional Dutch farmhouses with roofs shaped like pyramids. Your tour starts with a personal bike fitting and a thorough explanation of your tour at the railway station in the town of Weesp. 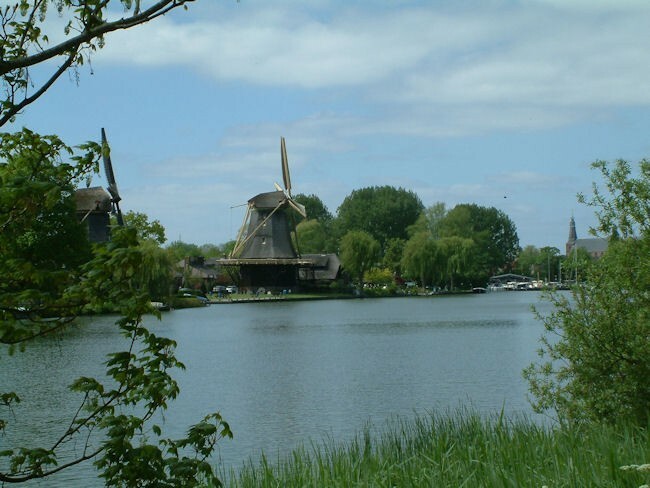 Weesp is easy accessible from Amsterdam and a popular stop for tourists with its historical center, three full-size historical windmills and a bastion and fortifications, which are part of the Amsterdam Defense line and the Dutch Water Line. After leaving the medieval Muiderslot castle, which is currently a national museum, you cycle towards the northern peninsula of the province of Noord Holland. In earlier times, the fishing village of Monnickendam was an important port, which makes it an ideal stop for either a great lunch or coffee break. 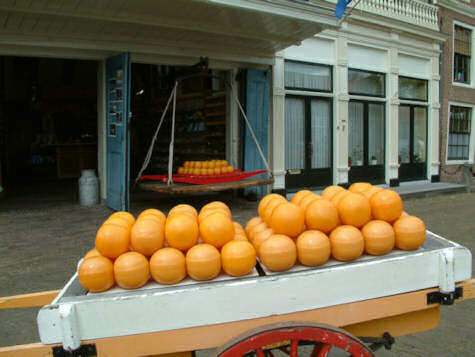 Then on to Katwoude, where there are numerous cheese farms welcoming you to drop in for a taste. Finally, onto Edam and its picturesque hotel ‘de Fortuna’, which will be your home for next few days! The restaurant at hotel ‘de Fortuna’ is of outstanding quality and can be highly recommended for that perfect dinner. After leaving the small narrow streets of Edam, you head towards the shores of Lake IJsselmeer. Lake IJsselmeer used to be part of the North Sea but was dammed off in 1932 by the 32 km-long Afsluitdijk to avoid more flooding after a number of disasters, one of which had happened in 1916. Today it is a fresh water lake. On the halfway point of this tours, you will visit the historical town of Hoorn, which during the Dutch ‘Golden Age’ was a major harbour town and important base for the Dutch East India Company (VOC). 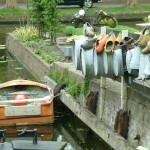 On your way back to Edam, you cycle more inland to enjoy both the old and more recently reclaimed polders. The Dutch polders are unique in the world. 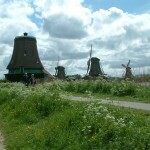 The Beemsterpolder is even an UNESCO monument dating back to the beginning of 17th century. The polder has retained its well-ordered landscape of fields, roads, canals, dykes and settlements – built accord to the principles of classical and Renaissance planning. This polder demonstrates, extremely well, how the Dutch have drained large parts of the country over the years. However, this new reclamation is a great contrast to the older polders you will find near the picturesque villages of Schermerhorn, Graft-De Rijp, which are renowned for their charateristic monuments which boost some of the oldest wooden houses in the province of Noord Holland. Your final day is perhaps your best ride ever. 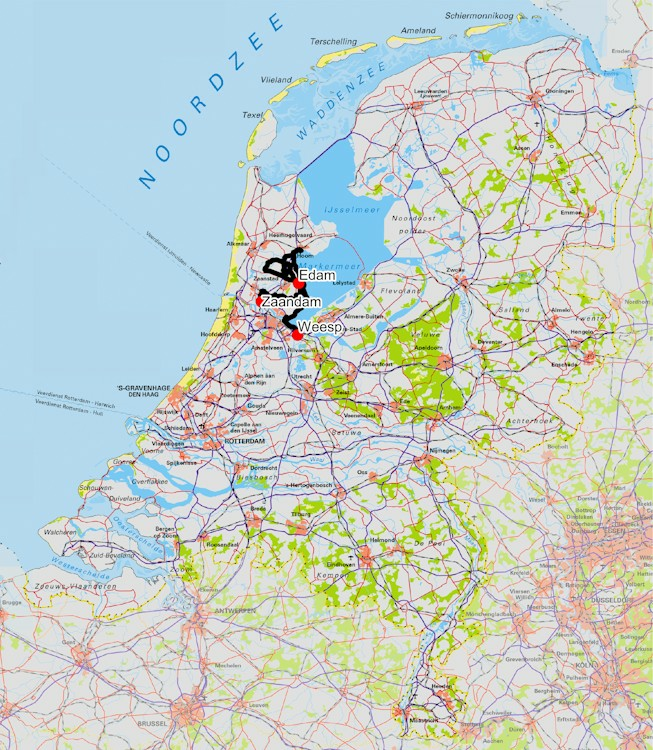 In less than 50 km, you will enjoy the historical fishing town of Volendam, a ferry crossing, the former island of Marken, picturesque Broek in Waterland, the Twiske recreactional area and finally the famous Zaanse Schans windmill group, so do,wake up early there is lots to enjoy! Volendam is a popular tourist attraction well-known for its old fishing boats and the traditional clothing still worn by some of the residents. 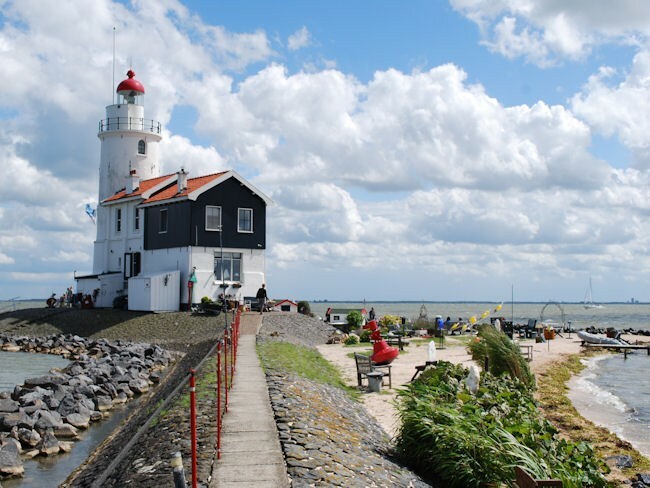 The ferry connection to the peninsula of Marken takes about 30 minutes and is a great break while cycling. 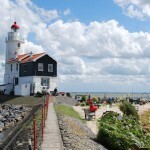 From Marken to Broek in Waterland, you cycle past lovely farmland and after Broek in Waterland, you then head up to the Twiske recreational lakes, which, in the summer time, is an ideal spot for a picnic stop. 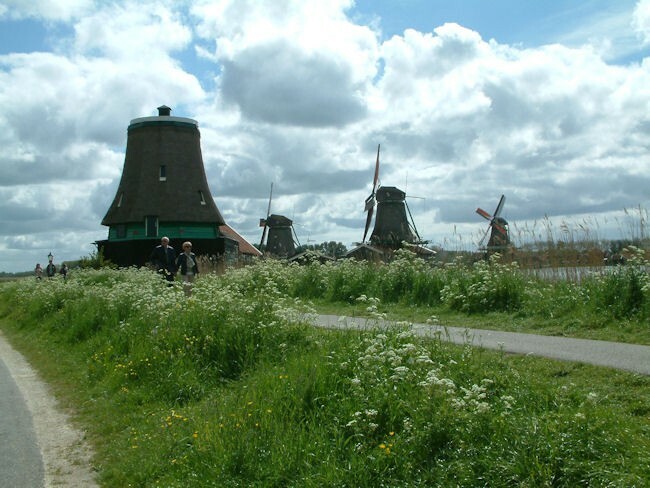 The last leg of your tour takes you to the Zaanse Schans, with its seven museums and eight different types of windmills.